Hi! I am Mrs. Manke. I was born and raised in Cudahy, WI. I am the fifth of eight children. I attended St. Paul’s Lutheran School in Cudahy, WI and then went to Wisconsin Lutheran High School in Wauwatosa, WI. I attended Dr. Martin Luther College and was called to St. Paul’s Lutheran School here in Bangor to teach 1st and 2nd grades. I met and married Todd Manke of Bangor. We were blessed with 3 sons and 1 daughter. In 1993, I decided to stay home and raise my family. In 2000, I was called to teach at Christ-St. John’s Lutheran School in West Salem, WI for preschool. A while after my twins were born, I was called to teach Kindergarten here at St. Paul’s, and since then started teaching Pre-K and Kindergarten and now Kindergarten, 1st grade and 2nd grade. In addition to teaching Kindergarten, 1st grade and 2nd grade, Mrs. Manke also teaches K-8th grade music and co-directs the Adoration Choir. Hello! My name is Eric Duve. I’m 26 years old and I live in Tomah with my wife Kimberly where she currently teaches. We were recently married in July and are excited about our new adventures together. We enjoy board games and exploring state parks. I am excited to be here in Bangor after teaching in Caledonia for four years. I’m happy to teach 3rd and 4th grade again this year and to get to know all of the St. Paul’s families! Karen Kay Bauer was born in Eureka, SD. She grew up on a farm west of Zeeland, ND. Miss Bauer was the 2nd daughter in a family of 5 girls – Sherry, Karen, Brenda, Julie, and Kristie. 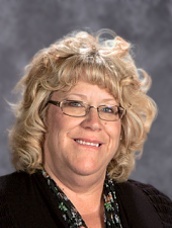 She attended the public schools of Zeeland from the 1st – 10th grades. But then, at the encouragement of her family and her pastor (Pastor Robert Weimer), she continued her education at Northwestern Lutheran Academy at Mobridge, SD for grades 11 & 12. Encouraged again by her professors and teachers, Miss Bauer continued on to Dr. Martin Luther College in New Ulm, MN, graduating in 1981. Miss Bauer’s first call was to Immanuel, Medford, WI where she labored diligently for the Lord for 13 years (1981-1994). Since 1994, Miss Bauer has faithfully served her Savior and His lambs here at St. Paul’s. In addition to teaching grades 5-6, Miss Bauer also teaches 5th-8th grade science, PreK-8 phy-ed, she directs the “Ring out the Joy” chime choir, 3rd and 4th grade recorder, and coaches volleyball. Mr. Bakken was born in La Crosse to Richard & Donna Bakken. He was raised on the family farm near Stoddard where he and his brother, James, attended grade school in the De Soto Area School District. Mr. Bakken is a graduate of Luther High School, and attended Northwestern College in Watertown for a short time, as well as UW La Crosse for two semesters before transferring to Dr. Martin Luther College in New Ulm, MN. He and his wife, Irene, graduated in 1976 and were married the same year before both began serving congregations in the Milwaukee area. Mr. Bakken’s first Call was to serve in an early staff ministry position at Zebaoth Lutheran Church where he was in charge of music and education at the Church. He also taught grade 5 at Siloah Lutheran Church. 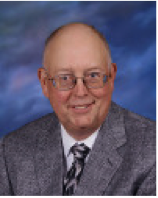 Mr. Bakken’s second Call was to St. John’s Lutheran School in Mishicot, WI where he served as principal and upper grade teacher. In 1986 Mr. Bakken and his family moved to Crete, IL where he served as principal and 9th grade teacher at Trinity Lutheran School. It was while serving there that the two congregations in Crete joined to form Illinois Lutheran High School. Mr. Bakken served as the first principal and music instructor at the high school. 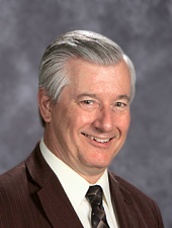 Since 1994 Mr. Bakken has been the principal and upper grade teacher at St. Paul in Tomah. During this time also, Mrs. Bakken taught Algebra classes and piano students at St. Paul’s. During the summer months she works at Wildcat Mountain State Park in Ontario, WI. The Bakkens were blessed with 4 children. Richard (Heather) is the Assistant Director of Technology at Princeton University in New Jersey. Aleah (Adam) Friemark teaches grade 5 in the New London Public School District. They have 3 children, Jack, Laura & Tommy. Jonathan (Joy) Bakken is employed by the Army Corp of Engineers as a wetlands specialist in Hayward, WI. They have 1 daughter, Rose. Benjamin (Brooke) is the Chief of Police in La Farge, WI. They have 2 sons, Silas and Elias. Mr. Bakken looks forward to meeting and getting to know the families of our school and the entire family of believers here at St. Paul’s. His prayer is that God may bless all the work we do together to share the message of the Lord Jesus with our children. May all of us continue to grow in His love and grace.